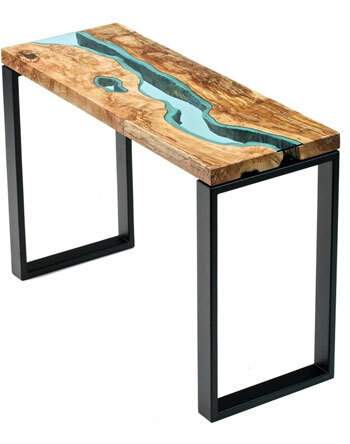 Each piece of wood is paired with another, to create the outline of a river or lake. 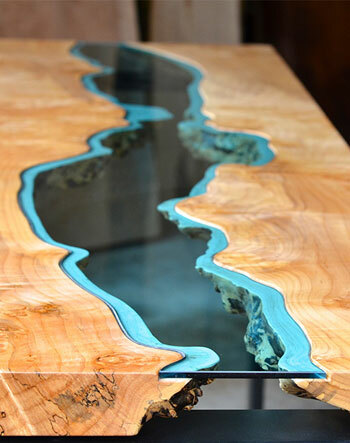 In some, a piece of hand-cut glass representing water brings the shores together in one table. 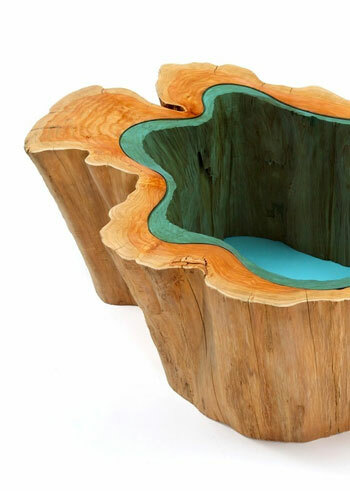 In others, wood circles the glass in the center, forming a self-contained body of water. 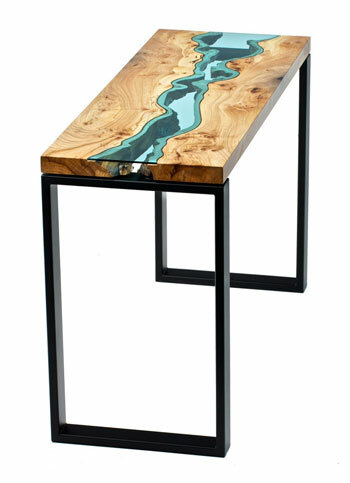 Check out his River collection online. 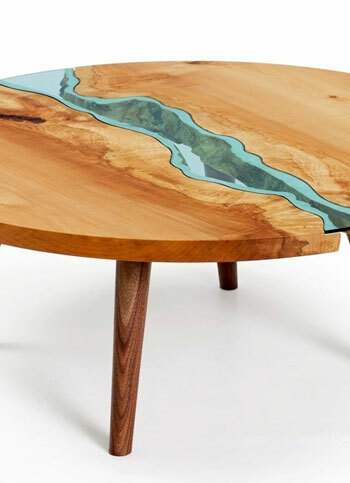 Awesome idea and excellent execution. I really like the simple look which, after looking at them carefully, are not simple at all. Great job!